I don't remember much about Communicore at EPCOT in Walt Disney World. It closed in 1993 and was converted into the half-rate Innoventions Pavillion. However, I did find a little gem of a song that was featured in the Communicore exhibit for just a few short years. 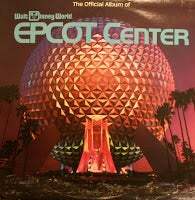 The song is called The Computer Song and was composed by the Sherman Brothers, best known for their work on the Mary Poppins and Parent Trap films as well as classic Disney rides like the Enchanted Tiki Room, Carousel of Progress and Journey Into Imagination. The song played at the Astuter Computer Revue attraction. The song praises the computer for "making life easier" as well as "saving time and headaches." When was the last time you thought of your personal computer that way? The computer noises are priceless. Ah, the beautiful paleo-future. Don't forget to click on "Astuter Computer Revue" to listen to the song in its entirety.